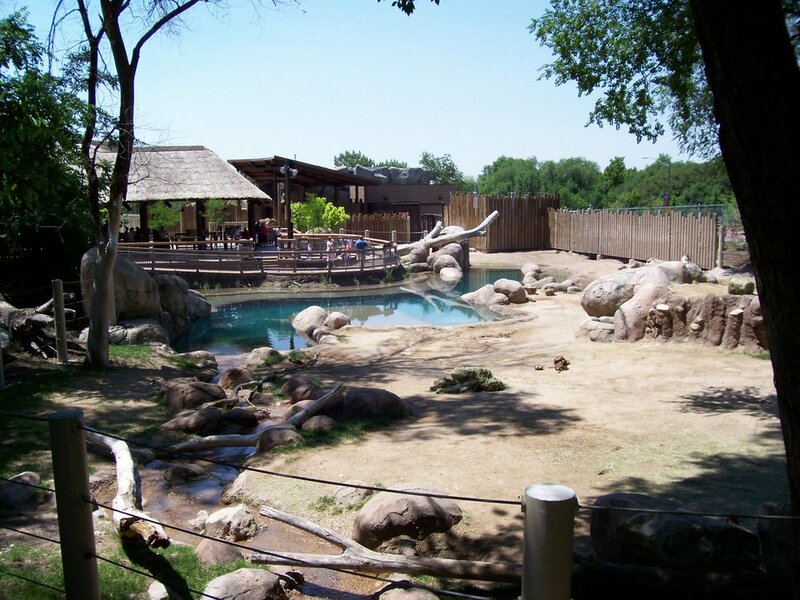 One of my favorite destinations that I have visited ever since I was a kid is Utah’s Hogle Zoo. This 42 acre zoological park is home to some of the world’s most incredible creatures. During a recent visit I was really impressed with their Elephant Encounter exhibit which is home to the zoo’s African Elephants and White Rhinos. The Elephant Encounter exhibit is made up into four distinct yards. Each one of these yards provides the elephants and rhinos positive stimulus and enrichment. Elephants (whom are some of the most intelligent animals on earth) require constant activities to keep them happy and healthy. This picture was taken by my phone. Check out how close you can get to the zoo’s gorgeous rhinos! It’s amazing how big these creatures truly are when you are merely a few feet away. Unfortunately their horn is causing their demise. Thousands upon thousands of rhinos have been poached for their ivory. My favorite feature of the Elephant Encounter exhibit is the 110,000 gallon pool that provides a swimming hole for the zoo’s three elephants. Just looking at the crystal clear blue water makes me want to jump right in! Here’s a look at the training yard where visitors can watch the elephant’s exhibit behaviors for their keepers. Utah’s Hogle Zoo is one of the many zoos that work with elephants under protected contact. That means that the keepers and elephants are always separated by a barrier for safety. If you want more information on how you can visit the Elephant Encounter at Utah’s Hogle Zoo please visit www.hoglezoo.org.